TUC research demonstrates further hardship for many in one of the most financially difficult times of the year; meanwhile, the government refuses to help. According to research by the TUC, for more than 400,000 people, this will be their second Christmas in a row on the dole. The same research also highlights the spread of long-term, mass unemployment, whereby there are at least 1,000 long term dole claimants in a local area. This measurement indicates 149 out of 232 local authorities in the UK are suffering mass long-term unemployment. In the capital, the ratio was 27 boroughs out of 33. 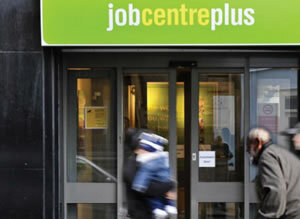 This rise in long term unemployment comes at a time of a fall in overall unemployment figures. Of those currently unemployed, more than a third are enduring long-term joblessness – the highest proportion since 1997. Specifically, more than a quarter of a million of 16-24-year-olds have been unemployed for more than a year, a truly terrifying statistic. “While the recent fall in unemployment has brought some seasonal cheer, it’s very concerning that 400,000 people are set to spend their second successive Christmas on the dole, with many more out of work and unable to claim. “These long periods of unemployment not only carry a harsh financial penalty, they can knock people’s confidence and cause permanent damage to their career. “With the proportion of unemployed people out of work for at least 12 months at a 15-year high, the government should make tackling long-term unemployment a top priority. And yet one of its first decisions was to scrap the Future Jobs Fund and replace it with the under-resourced and under-performing Work Programme. “As the end of the year approaches, we have more people in employment than ever before, the private sector is creating far more jobs than are being lost in the public sector, and long-term unemployment has fallen, with the number of people out of work for more than six months down by 62,000, according to recent figures. What is clear, despite Mr Hoban’s attempt at a rebuttal, is that the government must do more. Reliance on the private sector to soak up public sector job losses smacks of ideologically-driven short-sightedness, relying on the assumption of equivalency between the public and private sectors, and ignoring the diversity within both sectors. Hoban also ignores the figures of those who have been unemployed for twelve months or longer, as quoted by the TUC, instead choosing to focus on six months and longer. He seems to lack the basic understanding of long-term unemployment being a cyclical problem that causes perpetual damage to careers, is incredibly difficult to break out of, and its impact on people. Long-term unemployment is a brutal, demoralising social problem and will be felt acutely at such a polarising time of year as Christmas; the government simply must do more and demonstrate this is indeed the season of goodwill. If you tax jobs, don’t be surprised when it discourages job creation. Booze taxes, fag taxes .. Except, of course, there’s no correlation in other economies. Keep on pretending that there are Nordic Wastelands, as they shoot past us economically. That you want cash off your recreational substances…your priorities are plain! Ah yes, good state paternalism!